In Michigan, property taxes are calculated according to the taxable value of that real estate. This usually means that as the taxable value of the property increases, so do the taxes. But is there a way to limit or avoid that increase altogether? In 1994, Michigan adopted Proposal A – a constitutional tax amendment– which provides that the annual increase in the taxable value of real property is limited or “capped” at 5 percent or the rate of inflation, whichever is less. This annual increase in taxable value is capped while the real estate is owned by the same person. 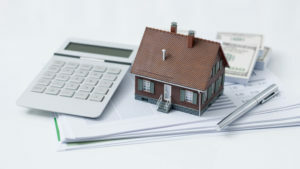 However, when the property is transferred to a new owner, the taxable value “uncaps” in the year following the transfer. The taxable value is then reset at about 50 percent of the real cash value – that is, the state equalized value (SEV). For many, this uncapping and resetting of the property’s taxable value often results in a substantial increase in real property taxes on the subject property moving forward. Steps can be taken to help ensure the taxable value of real property remains capped, even when a transfer takes place. Use a revocable living trust. Deeding property into a revocable living trust often allows for the taxable value to remain capped (as long as the trust is drafted properly, including naming of proper trust beneficiary). Another benefit to this transfer is that living trusts are intended to avoid the probate process following death of the trust grantor. Use a “Ladybird” deed. When a Ladybird deed (i.e., a transfer on death deed) is properly drafted and utilized to transfer real property upon death, this does not cause an uncapping for tax purposes. A Ladybird deed also allows for probate avoidance, continues any applicable homestead exemption (which serves to further reduce applicable real property taxes), and does not interfere with Medicaid qualification for people who are otherwise qualified. Watch out for limited liability companies. Certain transfers of property between individuals and a limited liability company(LLC) can trigger uncapping. When real estate holding entities are involved it is important to use qualified legal counsel prior to any transfer(s) of real estate into or from the subject entity. In 2014, Michigan adopted new property tax exemptions that make it simpler for families to transfer certain residential property from one generation to another, without facing increased real property tax payments. When properly planned and documented this generally will include a transfer of a family cottage or hunting cabin to certain or various relatives without triggering the uncapping of property taxes. If you are contemplating the transfer of real property, please contact us. Our experienced real estate attorneys can answer your property tax questions. 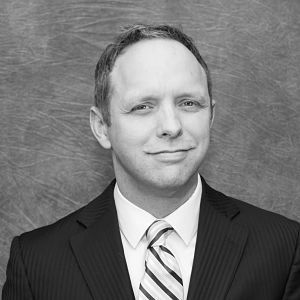 Ryan McNally is the leader of the firm’s Real Estate Practice Group and represents businesses, developers, and lenders in commercial real estate transactions totaling hundreds of millions of dollars annually. His practice also including business transactions, municipal, and zoning matters.